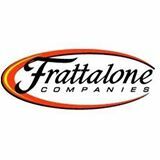 Frattalone Companies, Inc., specializes in civil site construction and self-performs earthwork, demolition and site utilities for general contractors as well as public and private owners in the upper Midwest. Kinder Morgan is the largest energy infrastructure company in North America. We own an interest in or operate approximately 84,000 miles of pipelines and 165 terminals. Our pipelines transport natural gas, refined petroleum products, crude oil, carbon dioxide (CO2) and more. We deliver the most complex construction projects with cost and schedule certainty. We do this through the leadership of integrated A/E/C project teams (regardless of contracting method), by using the most advanced technology tools in the industry including VDC/BIM, and by self-performing the most critical tasks. 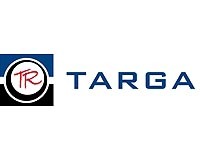 Targa Resources is a growth-oriented provider of midstream services and is one of the largest independent midstream energy companies in North America. We own, operate, acquire, and develop a diversified portfolio of complementary midstream energy assets. 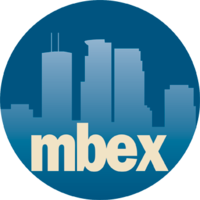 For 125 years, the Minnesota Builders Exchange (MBEX) has been a progressive, member-oriented non-profit association dedicated to assisting construction industry businesses throughout the Upper-Midwest region. 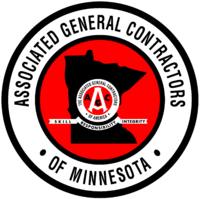 Associated General Contractors of Minnesota (AGC) is a non-profit professional trade association that is dedicated to promoting opportunity and excellence in the building and highway construction industry throughout the State of Minnesota. Formed in 1919, AGC was the first recognized chapter of the Associated General Contractors of America. AGC members believe that skill, responsibility, and integrity are fundamental values that contribute to their success. Under a strategic plan adopted by the Board of Directors and membership, AGC focuses on the highway and building sectors of the market including heavy and municipal utility construction. The only organization in North Dakota representing the interests of the commercial construction industry. A great source of information and services to commercial contractors of all types and size. A group of dedicated staff working to keep profit, safety, efficiency, skill and responsibility an integral part of the construction industry. Principal Objectives Promote skill, integrity and responsibility in the construction industry. Promote fair and honorable dealings with public and private owners of construction projects and with all segments of the construction industry Promote good employees relations and provide the safest working conditions possible on all construction projects Promote member involvement in political activities to ensure conditions in the construction industry continue to improve Organizational Structure The policies and direction of the Association are determined by a thirteen member Board of Directors, which is elected from the four member categories. Three Directors are elected from the Building Division, Highway Division and Municipal/Heavy Division and four Directors are elected from the four categories of the Associates Division, which include sub-contractors, equipment suppliers, material suppliers and related industries. The AGC of North Dakota is a Chapter of the Associated General Contractors of America, the largest construction organization in the country.